Barbados in February. Does it get any better? White powdery sand, turquoise seas, wall-to-wall sunshine, rum punch and reggae. That’s what I was expecting from my first visit to Barbados in the Caribbean when we jetted off from a cold, grey Gatwick last month. 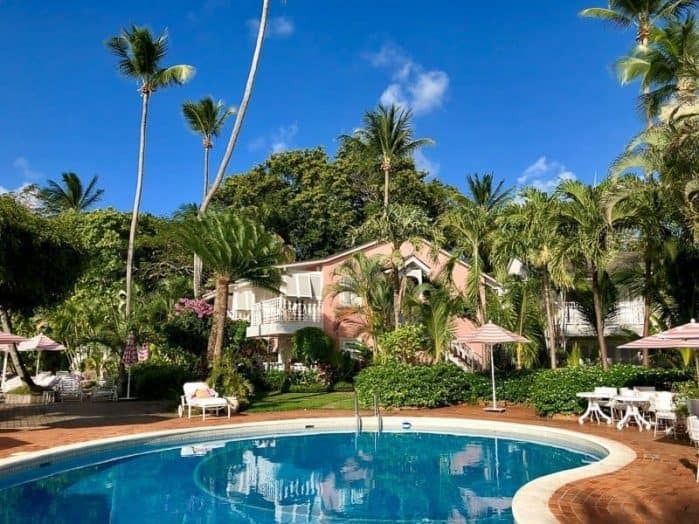 The island was happy to oblige and ticked all the boxes but she also threw in a few happy surprises including the wonderful Barbados boutique hotel Cobblers Cove and further round the island the wild and dramatic scenery of the East Coast beaches. 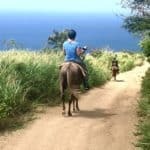 I’ve been to a few Caribbean islands and each one has its own unique personality. Barbados has a definite British edge which is hardly surprising considering that more Brits visit the island than any other nationality. 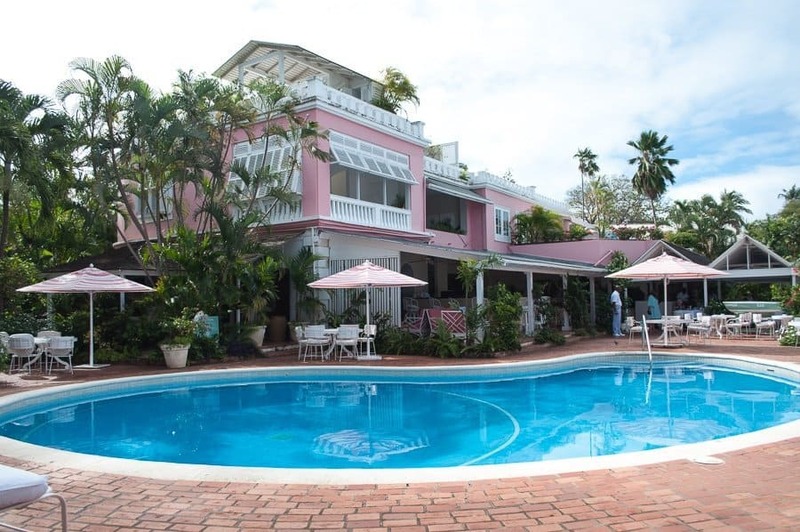 We discovered a haven of tranquility at Barbados boutique hotel Cobblers Cove. A dreamy piece of England in the sparkling sunshine. From a full English at breakfast and cucumber sandwiches (crusts off) at afternoon tea to shortbread biscuits at turn-down I’d have been happy to stay all summer. 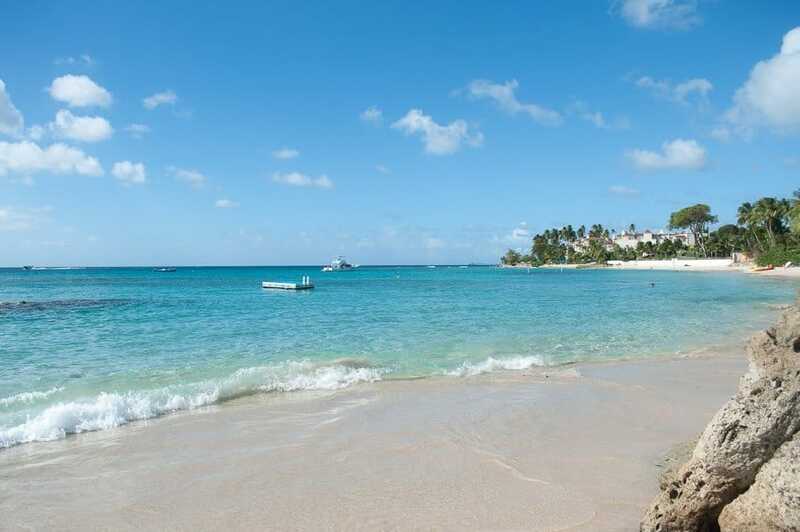 Cobblers Cove, Barbados sits in a prime spot on the platinum west coast. Originally known as the Gold Coast it got an upgrade when a clutch of billionaires moved in. 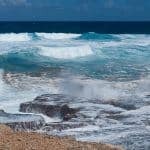 West coast Barbados gives turquoise seas, pristine powder-soft sands, turtles swimming offshore and sunsets that dazzle. 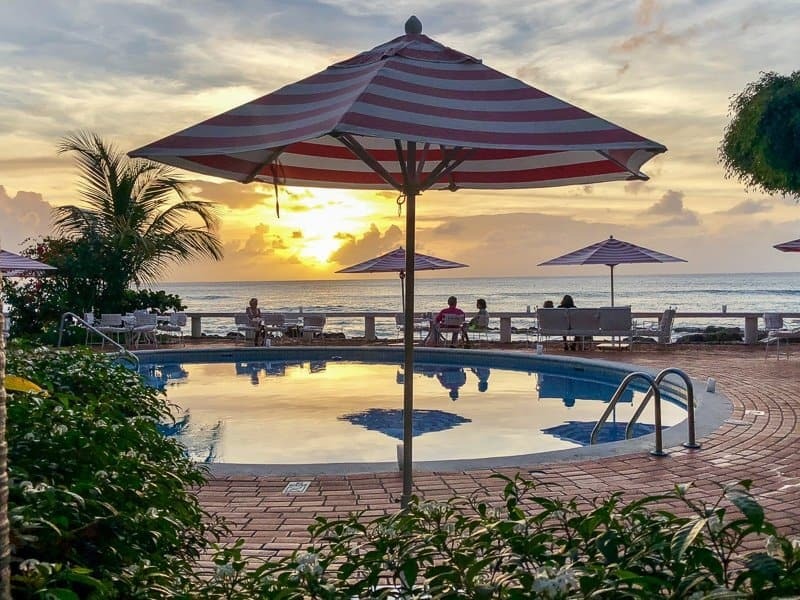 Quieter and more exclusive than the lively south coast this is the best area to stay in Barbados if you’re looking for a relaxed, tranquil break. 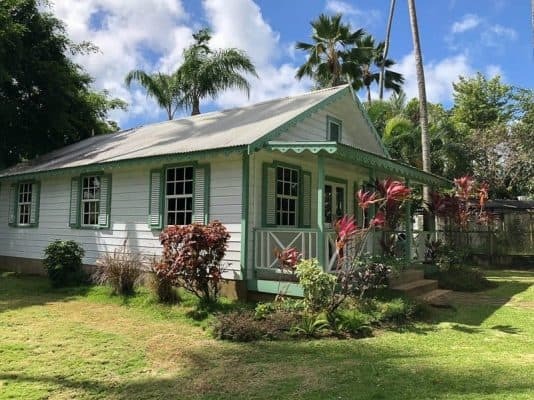 Cobblers was once the summer beach house of a plantation owner and his family. Joss Haynes had the beach retreat built in 1943 and named it Camelot. In 1968 it changed hands when bought by the Godsal family who renamed it Cobblers Cove. The family, who still own it today, turned it into a charming luxury hotel. 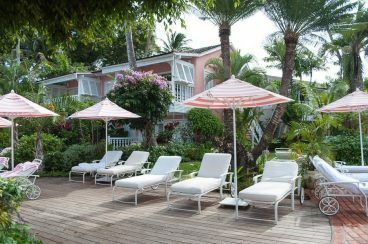 Now part of the Relais and Châteaux collection of hotels, Cobblers Cove is one of the best Barbados west coast resorts. 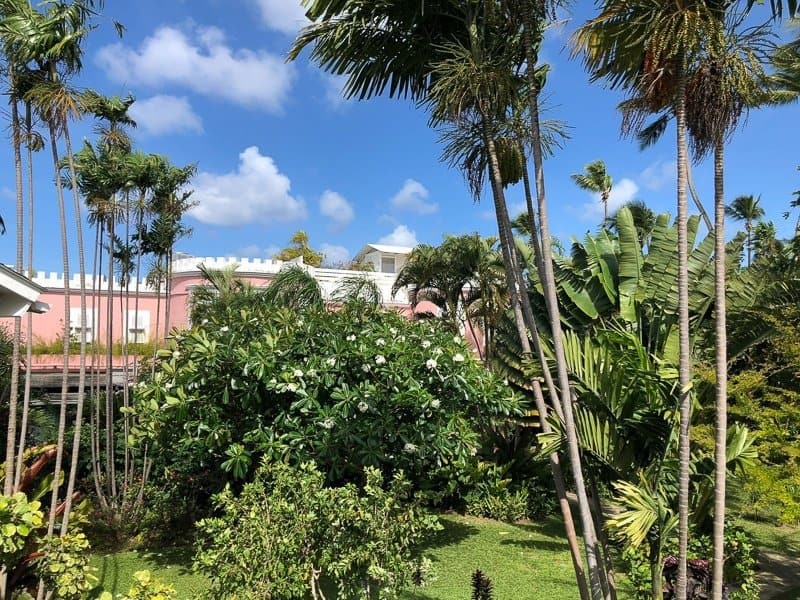 A walk from reception through lush tropical gardens leads us to the main house. Think English country house meets Caribbean cool. Glimpses of a sparkling turquoise ocean entice us through the open doorway and we’re drawn through the cool, calm hallway and out onto the beach-front terrace. There’s a shady area with big squashy chairs to sink into and a bar manned by the ever-smiling Virgil who serves an absurdly good rum punch. To the left Camelot restaurant, with views out to the endless ocean, is the venue for breakfast, lunch and dinner. To the right is a swimming pool and terrace just steps from the beach. Parasols, beach towels and the paper drinking straws in blush pink are in line with the Cobblers pink theme. I was pleased to see bio-degradable paper straws. There’s plenty of shade for keeping cool and a refreshing pink sorbet is brought round to guests in the afternoon. 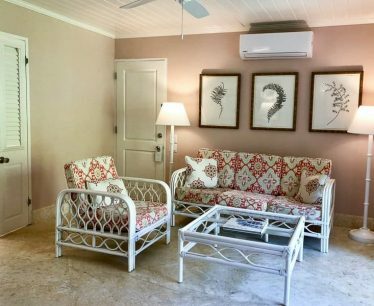 The devil’s in the detail and there’s detail in abundance at Cobblers Cove. 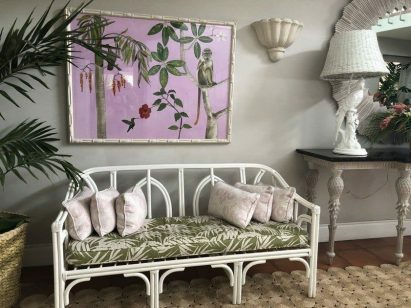 Inside, the décor is a delicate pink and mint green with stylish artwork depicting the island’s wildlife. 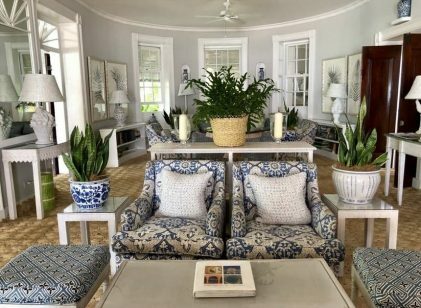 The drawing-room has a cool colonial feel with crisp blue and white décor, potted plants and beautiful flower arrangements. Cobblers Cove Barbados is an all-suite hotel. It’s small, personal and friendly. The 40 suites are split between 10 cottages amid the fragrant gardens or beach-side overlooking the ocean. They’re spacious and light with a private balcony or terrace, a living area and a small kitchenette which comes stocked with complimentary tea, coffee, fresh milk, beer, Cola, chocolate and water. 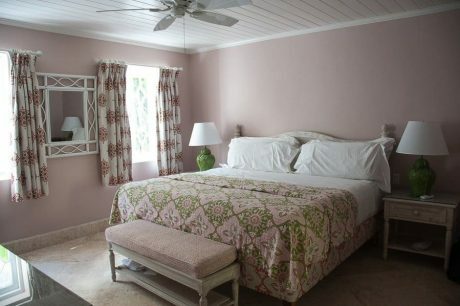 Recently refurbished, our suite was decorated in fresh pinks and green with white furniture. Plenty of hanging and drawer space for clothes was available and coat-hangers were of the removable wooden variety. One of my pet-hates are coat-hangers attached to the rail which, if you’re a shorty like me, are a complete pain to disentangle from the rail. 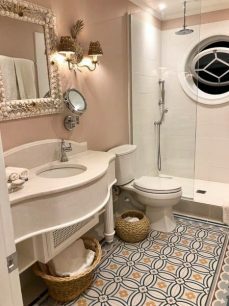 The bathroom was a good size with single basin, large rainforest shower, bathrobes in light cotton – pink for her, blue for him. Towels were soft, fluffy and plentiful and luxurious Ren toiletries were supplied. Two suites on the top floor of the great house are the most luxurious. Colleton and Camelot boast canopied four-poster beds, marble floors and plunge pools on their own private terraces. The mature gardens have been thoughtfully planted with countless tropical plants. Bright pops of colour peep out from the lush greenery and exotic scents waft on the breeze. The gardens are home to many species of small bird. I spent one morning lounging on my terrace doing nothing but watching the birds. I counted around six different varieties but my favourite was the busy humming-bird who visited our terrace every day flitting from flower to flower in search of nectar. It’s the most relaxed I’ve been in months. A chorus of melodic tree frogs serenaded us each evening as we made our way through flame-lit gardens. Camelot is one of, if not the, best restaurant in Barbados. Food is excellent, service is warm and friendly and all tables have ocean views. Breakfasts are a highlight of the day with a choice of fresh fruit, pastries, cereals, cold meats, cheeses, juices and fruit smoothies to start with. 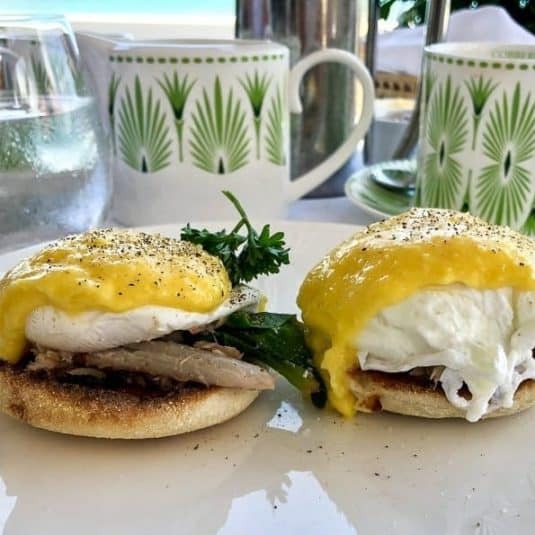 The menu has a selection of individually cooked breakfasts to choose from including full English breakfast, crepes, pancakes, omelette, and smoked salmon with scrambled eggs. My favourite was a twist on Eggs Benedict served with delicately meaty lump crab instead of ham. Delicious. 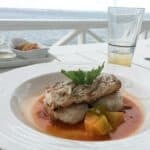 The dinner menu is different each day and includes seafood and fresh fish caught by Barker, the hotel fisherman. 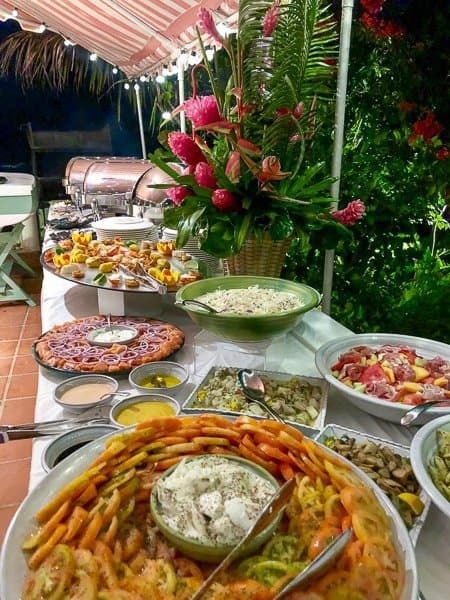 BBQ night is on Tuesday after manager’s cocktails and the food is excellent with fresh salads, barbecued meats and fish. Book the early sitting for this popular evening. At 4 p.m. on the dot a delightfully British tradition occurs. Afternoon tea with sandwiches, cake and tea is served in the Pavilion area by the pool and guests gather for a chit-chat. Manager’s cocktails held on Tuesday evenings by the pool are one of the week’s highlights. Charming hotel manager Will Oakley, and his equally charming wife, chat to all the guests during a friendly, sociable affair with endless glasses of bubbles. There’s a party atmosphere, live music and on some evenings the Barbados Police Band entertain. The Cobbler’s Cooler is a fabulous and somewhat heady rum cocktail. We were told that if you can drink five of these and then walk around the pool three times without falling in you’ll get a free night in one of the great house suites. We stopped at two…! Water sports and a range of activities are free of charge to hotel guests. Sea Turtles swim in the waters opposite Cobblers Cove. 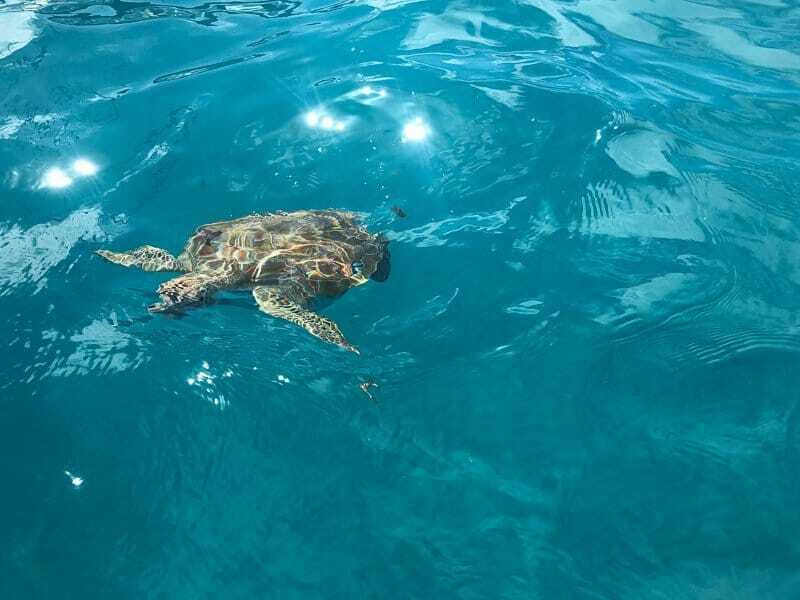 We went out on a complimentary boat trip one morning to see the turtles swimming in the crystal clear water. 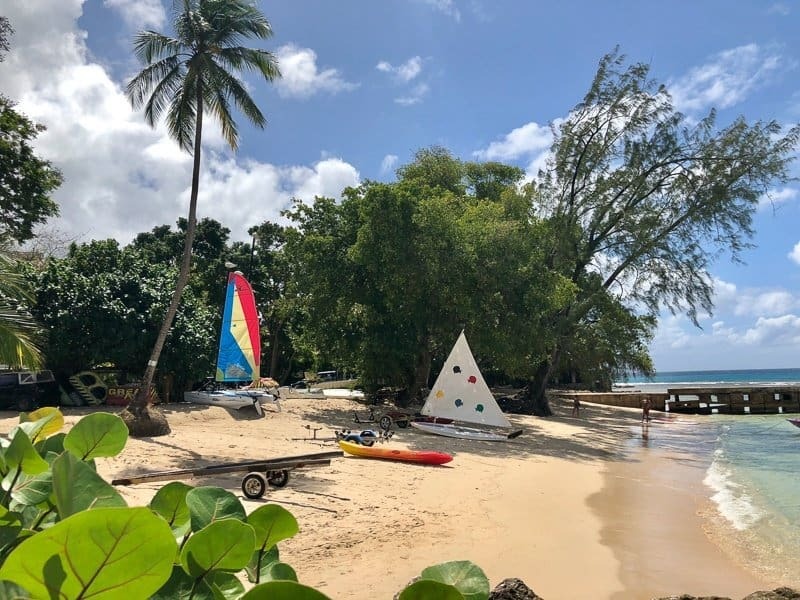 Stand up paddle boards, a small sail boat, kayaks and water-skiing lessons are available daily, free of charge, at Bradley’s hut in the hotel grounds. The hotel has its own gym and flood-lit tennis court just over the road from reception. 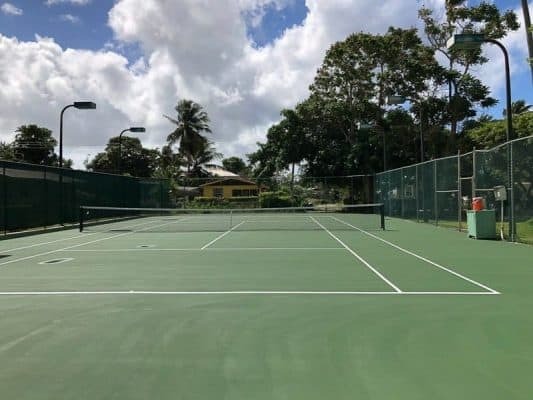 For the energetic tennis lessons are available with coach Ronaldo but book before your stay because he has a busy schedule and is popular with guests. A fully equipped gym is available next to the tennis court and there are plans for a yoga studio in the future. I had a yoga lesson with Pamela in the hotel gardens with views out to the ocean – the best yoga venue ever! 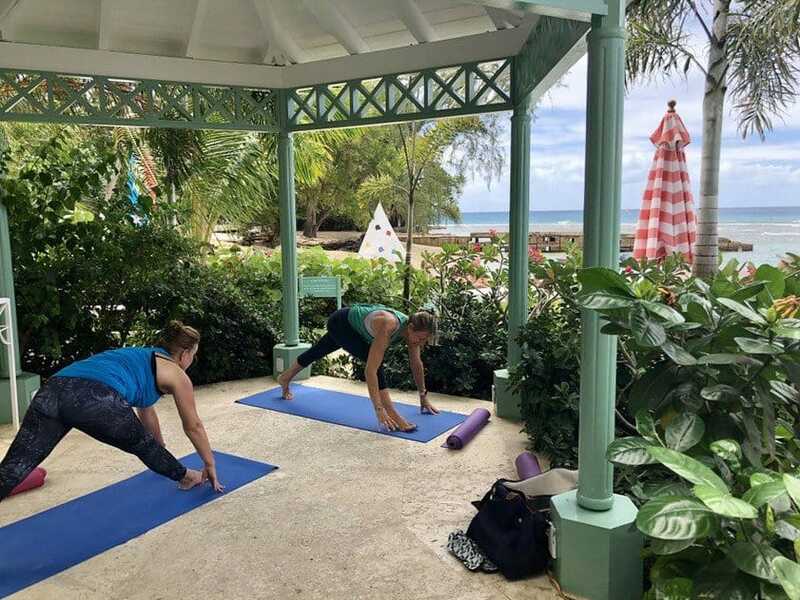 Outdoor yoga brings a whole new perspective to the practice and Pamela’s instructions to breathe to the sound of the ocean and feel the island’s energy isn’t something you’ll find in your average yoga class. Pamela’s an excellent teacher and I came away with some good tips to improve my poses and feeling beautifully energised. That’s me on the left. 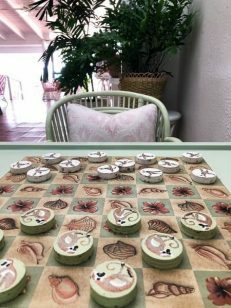 The Sea Moon Spa, run by the lovely Carla, has a range of facial and body treatments using Ren products made from 100% plant and mineral extracts. A hair salon catering for both ladies and gents is also on-site. 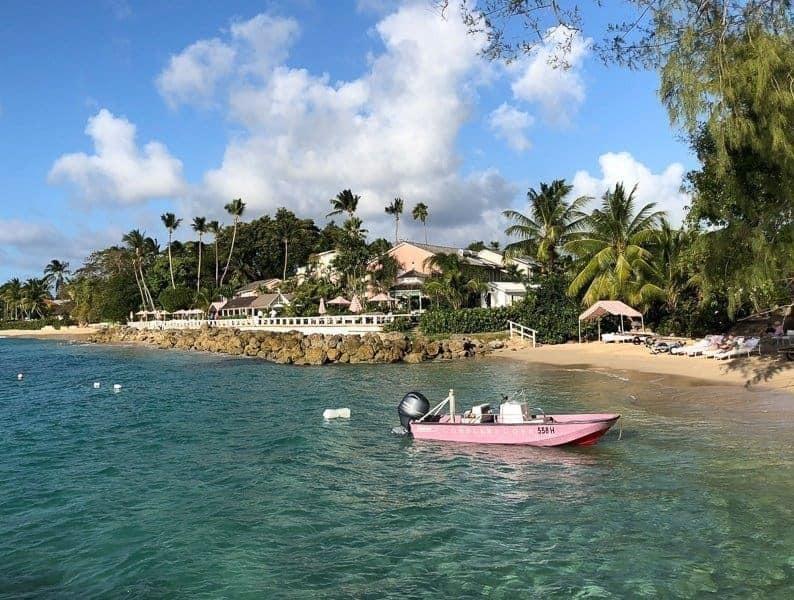 Laid-back Speightstown with its colourful beach-side cafes, rum-shacks and Bajan vibe is a ten-minute stroll along the palm-fringed beach. If it’s a party you’re looking for walk in the other direction and you’ll arrive at lively Mullins beach. 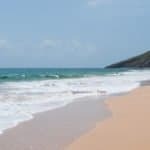 A good time to visit is May to August outside of peak holiday time when you’ll benefit from lower rates and less crowds on the island. The weather’s good in Barbados during these months and if it rains, which it did in peak season, it’s warm rain and it’s short-lived. 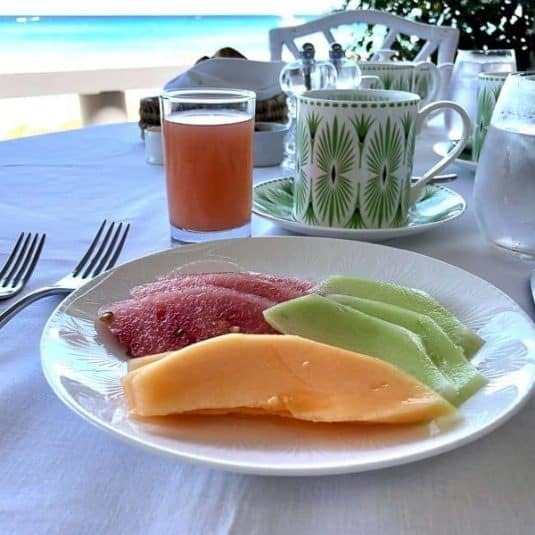 Cobblers Cove is small, personal and friendly and serves some of the finest food on Barbados. People go back year on year and we often saw guests catching up with friends they’d met on previous trips. There’s a relaxed, sociable air with a slightly British feel. As soon as we stepped through the doors a sense of calm gently descended, softly enveloped us and lingered long after we left. Cobblers Cove I do hope we meet again. 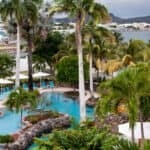 British Airways, Thomson, Virgin Atlantic fly to Barbados from various UK airports including Heathrow, Gatwick, Manchester and Bournemouth. Cobblers Cove, near to Speightstown, is a 45-60 minute taxi ride from the airport depending on traffic. Barbados taxis cost around US$ 40 and are identified by the letter Z in the number plate. Private airport transfers with Cobblers Cove can also be booked. Many thanks to Cobblers Cove who hosted us for 3 nights of our 6 night stay. 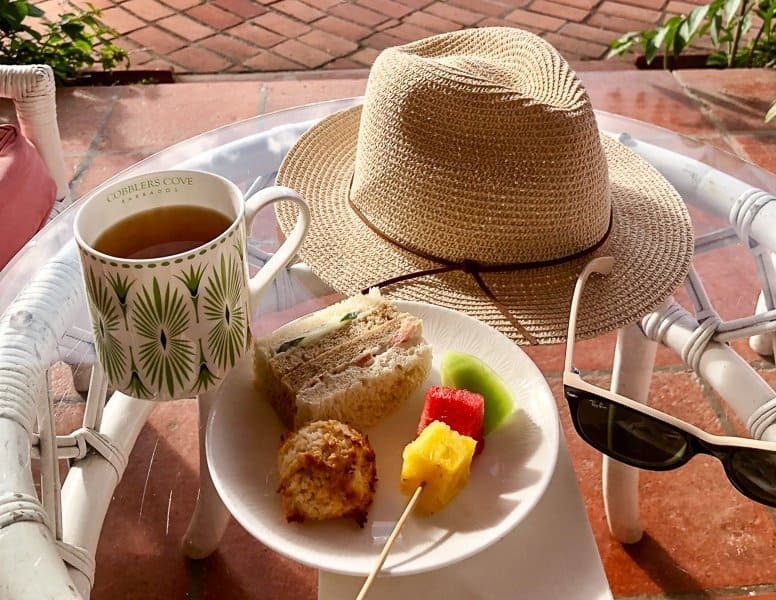 All thoughts, opinions and new-found love for afternoon tea and pink striped beach towels are entirely my own. This hotel suits you well. Lovely_Lovely_Lovely. Humming-birds and turtles!!!! A pink paradise. Even if I want to – I wouldn’t be able to stay … here. Well over my budget, but to dream cost nothing. I like the look of those Eggs Benedict talks to me big time. A fantastic presentation, as always. Thanks Viveka, I loved Cobblers Cove and glad it came across. It was very lovely and relaxed which was just what we needed. We arrived just a few days after seeing you in chilly Copenhagen. The Eggs Benedict with crab were a revelation! 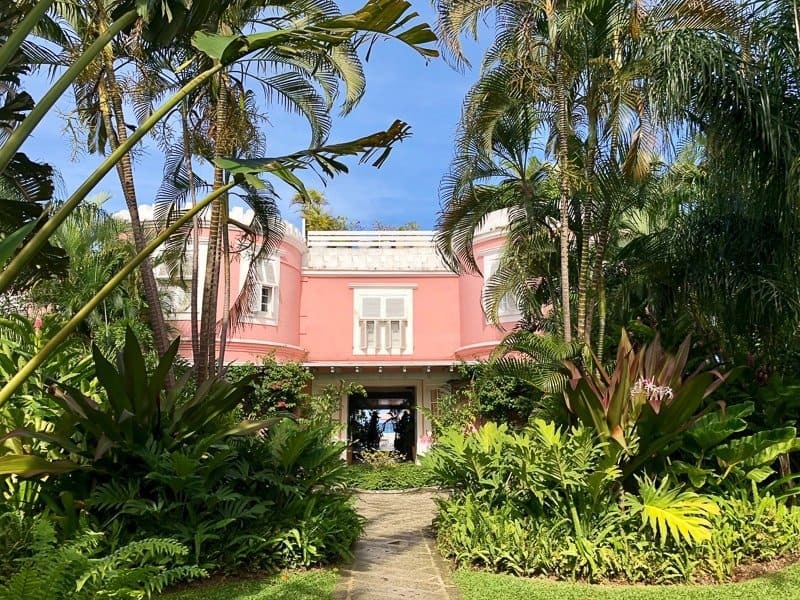 I think it’s the best boutique hotel in Barbados! Cobbler’s Cove sounds divine. There’s nothing better than starting the day with yoga, especially if it’s overlooking the deep blue sea! I visited Barbados once in my youth which feels like it was a waste of a beautiful island. I’d love to go back and take advantage of all the beauty there at a time when I would appreciate it! 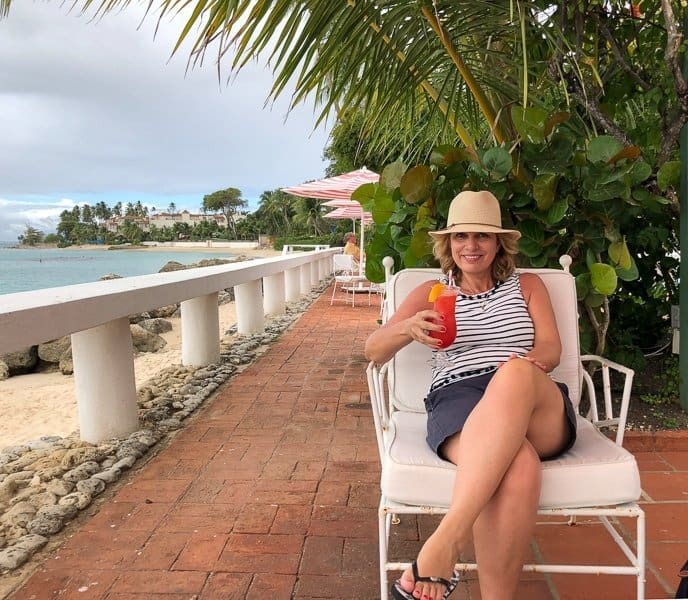 I think you’d like Cobblers Cove Alison 🙂 I love my yoga and this was an extra special place to practise and a class I’ll remember for a long time to come. Ooh Cobblers Cove sounds blissful (and even better if you’re escaping the snowy English winter this year) – those cocktails look fab and such a beautifully designed place. Oh my goodness, all that pink and green is RIGHT up my street in terms of decor, and the outdoor yoga is my absolute favourite thing ever. I must say I’ve not been to Barbados and now I’m wondering how I could have ignored it for so long! I thought about you when I saw the decor – it’s the perfect match for your blog branding! It was good not to miss my yoga classes and to take a class outdoors was fabulous as we timed our breathing to the sea and immersed ourselves in the island. This was my first trip and Barbados ticked all the boxes. 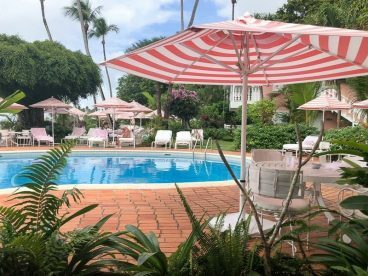 The west coast of Barbados is perfect for a winter break and I love the look of this hotel and its size too. We loved exploring the east coast where no one seems to go! We had a little road trip one day and explored the north and east coasts – the scenery is absolutely stunning and so quiet! This is heaven on earth! What an absolute delight to visit. I have never been to Barbados, but trust me, it’s definitely on my bucket list! Maybe I can stopover on my way to the UK or Europe sometime. Cobbler’s Cove hits all the right notes with me! Thanks for sharing! 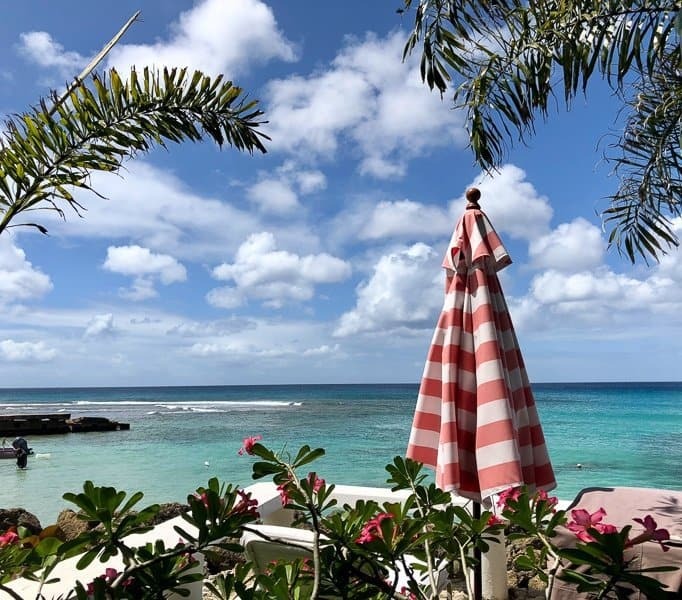 Cobblers Cove is definitely worth visiting Barbados for – a complete oasis of calm and elegance in the sunshine. Oh my! You saw turtles, that would be a dream come true for me. It all looks fabulous and as for the restaurant!! They were quite big too – so graceful when they swim along. The food was amazing – best breakfasts ever!